John Storyk of the Walters-Storyk Design Group moderates the discussion "New Frontiers in Project Studios" during the AES New York 2017 Project Studio Expo. Joining Storyk were producer/engineers Eddie Kramer and Scott Riesett, musical director David Rosenthal and sound designer Peter Hylenski. 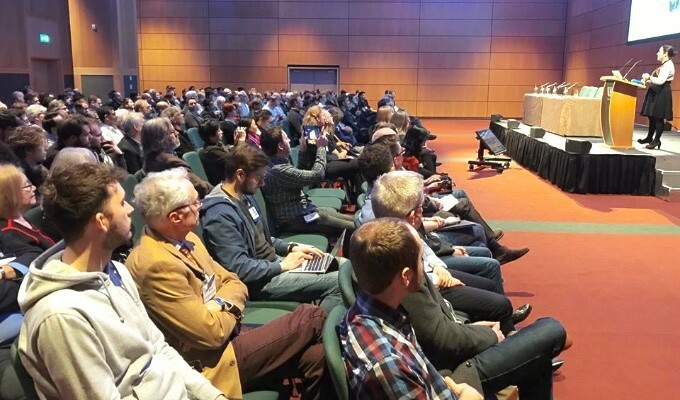 Audio Engineering Society conventions connect audio engineers, producers, artists, and enthusiasts with the latest research and information, while also providing the premier showcase for the latest audio gear and technologies from the industry’s most relevant brands. The AES New York 2018 Convention, taking place October 17 – 20 at the Jacob Javits Center, will offer not only the AES flagship Technical Program, but also the year’s largest dedicated professional audio showcase and exhibition, taking place the first three days of the show (October 17 – 19), featuring the largest-ever offering of free-to-attend workshops and tutorials on the exhibition floor and throughout the convention’s demo room areas. These events are free to all attendees, and complimentary Exhibits-Plus badges are available to AES Members or with a VIP promo code. One of the most highly anticipated events at the convention, the PSE Recording Stage is aimed at professional and home studio recording engineers, and at this year’s AES Convention, the PSE Recording Stage is the ultimate destination for three days of workshops, advice and education from professionals and peers involved in the recording process. New sessions for this year include a specialized set of tutorials covering vocal recording, from choosing the right vocal mic, to laying vocals within the track, to making your vocals stand out properly in the mix. Sponsors for the PSE Recording Stage include Antelope Audio, Eventide, Focusrite, Genelec, Meyer Sound, Neumann, Universal Audio and Waves. This year’s Live Production Stage offers three days of workshops, panels and sessions covering Broadcast Audio, Broadway Sound and Live Events. Immerse yourself in learning and networking with the industry’s pros with events covering the latest trends in audio networking, live broadcast productions, wireless updates, Broadway productions, sound design and managing a live gig. Live Production Stage sponsors include d&b Audiotechnik, DPA, Lawo, L-Acoustics, Lectrosonics, Sennheiser Neumann, Shure, TSL Products and Yamaha. 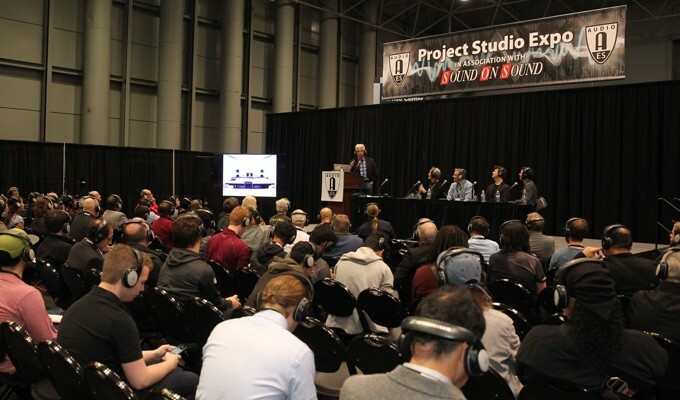 A series of events consistently drawing standing-room-only crowds at past AES conventions, the AES Mix with the Masters mixing workshops invite you to come and learn from the masters! The biggest names in the industry share how they mixed the greatest artists, tracks and albums, offering three days packed with award-winning producers, engineers and mixers sharing their experience in person. New for 2018 is the Audio over IP Technology Pavilion, presented in partnership with the Alliance for IP Media Solutions (AIMS). Audio networking is becoming integral in all aspects of media production, and AES will bring together the top professionals on the cutting edge of using AoIP as a means for a wide variety of audio routing and interface solutions. Leading manufacturers introduce three days of application and product sessions to guide professionals past the pitfalls towards enhanced productivity with AoIP. Visit the partners in the AoIP Technology Pavilion for one-to-one presentations. AES and the International Music Software Trade Association (IMSTA) invite you to experience the latest in virtual tools and techniques at this year’s software@aes Pavilion area. Activities include three days of music software demonstrations, together with DAW and plug-in clinics. The AES and AVID bring together leading AVID AAX Partners for the AES Partner Pavilion, ready to show you the latest and greatest products to take your Pro Tools productions to the next level. Two floors of demonstration rooms present the latest gear and technologies hosted by brands such as Alteros, Dolby, Eventide, Grace Design, JBL, Kii, L-Acoustics, Meyer Sound, Neumann, Nexo and Yamaha. 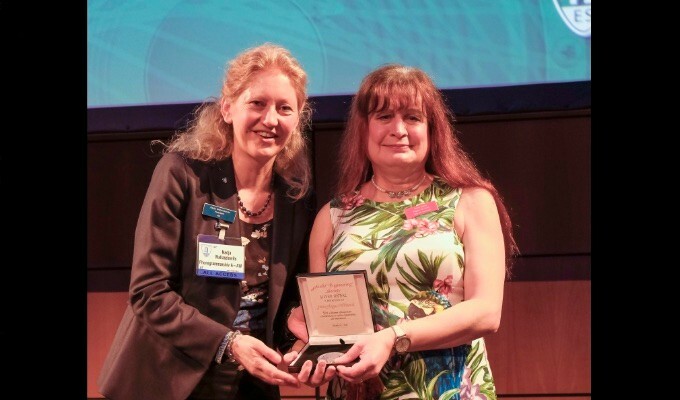 This year’s convention celebrates the 70th anniversary of the Audio Engineering Society, and there’s no better event at which to “Listen, Learn and Connect” with audio engineers, producers, artists, students, and peers from around the world. In addition to the exhibitions themselves and the exhibition-floor events, major focuses of the full Convention technical program (brought together by this year’s organizing committee, led by Co-Chairs Paul Gallo, Valerie Tyler and Jonathan Wyner) include Broadcast & Online Delivery, Applications in Audio, Sound Reinforcement, Recording & Production, Game Audio/AVAR/Spatial Audio, Networked Audio, Product Development, Archiving & Restoration, and Audio for Cinema, with numerous presentations and opportunities offering an inside look at nearly every facet of the audio industry. Register now at aesshow.com for Advance Registration pricing and discounts on Exhibits-Plus and premium All Access badges, as well as deals on AES New York partner hotels. Registration at any level for AES New York 2018 includes access to the co-located NAB Show New York exhibition. Substantial registration discounts are available for AES Members and Associate Members, with even deeper discounts for Student Members.